This gifted sailor that combines method with talent, turns everything he touches into gold. 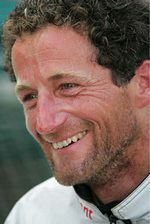 In the month of June 2004, he became the only sailor in history to amass as many victories in such prestigious races as the Solitaire du Figaro, the Vendée Globe, the Route du Rhum and The Transat. Emulator of the Formula 40 then navigator on « Hydroptère », Mich’ Desj’ has always had an interest in multihulls. 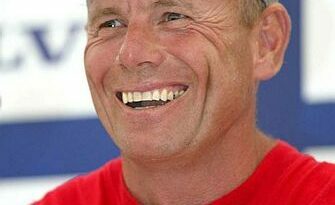 Logically he took the helm of his ocean-going trimaran Géant in 2002 and continued on his winning way. 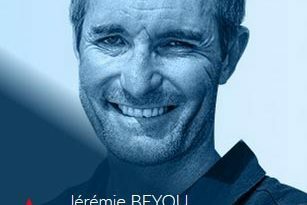 Since taking victory in the Route du Rhum 2002, an achievement that has gone down in the history books, he has just won his second single-handed transatlantic, the most difficult of all, The Transat… pulverising the reference time for the event in the process. His two victories in two years aboard a very recent trimaran constitute a veritable sporting achievement.